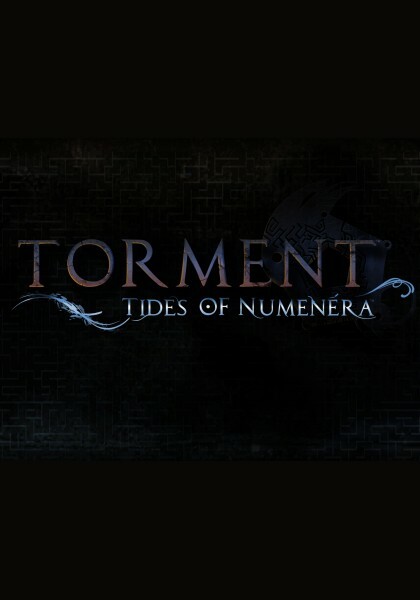 Torment: Tides of Numenera is the latest role-playing game from inXile Entertainment, and it's being listed as a "thematic successor" to Planescape: Torment. What does that mean? If you remember the old analogy questions that used to appear in the SAT, then I'd say that Torment: Tides of Numenera is to Planescape: Torment as The Force Awakens is to Star Wars. That is, Tides is a newer and shinier product that borrows heavily from its predecessor, but it still manages to do enough things differently to keep everybody satisfied. In particular, Tides takes place in the Ninth World, a region where numerous (probably more than eight) civilizations that have come and gone, and have only left ruins and technology behind. There isn't any magic in this world, but the machinery and nano-technology (called numenera) are so good that it's tough to tell the difference. The world has also produced somebody called the Changing God. He's not actually a god; he's just a man who figured out a way to make himself immortal. He creates hosts for himself to use, and then when one is about to die, or if he just wants a change, he transfers his consciousness to a new one. Interestingly, when he leaves these hosts, they gain a consciousness of their own and become independent people -- just more powerful than regular folk because of how they were created. In the game, you play as The Last Castoff. You're tough and you have impressive regenerative abilities, and while you don't have any memories of your own, you sometimes remember things the Changing God has done. That is, you're an immortal with memory issues and a fixed title, which is just one example of many of how Tides is similar to Planescape: Torment. Torment: Tides of Numenera handles characters uniquely. You earn experience points in the game for the things that you do, but everything else is likely to be different from what you've seen before. For starters, there aren't any classes. Instead, characters are defined by an archetype, a descriptor, and a focus. There are three archetypes: the Glaive, who solves problems through force; the Jack, who solves problems through skills and diplomacy; and the Nano, who solves problems through technological devices and esoteries (think spells). Reading between the lines, you might recognize the archetypes as being Fighters, Rogues, and Mages, which probably not coincidentally were the three classes available in Planescape: Torment. There are over a dozen descriptors to choose from, including Cautious, Clever, Mystical and Strong. Each descriptor gives you a bonus and a penalty of some sort. As an example, the Cautious descriptor gives you bonuses to the perception and stealth skills but inflicts a penalty to the initiative skill. For focus, there are only three choices: "Brandishes a Silver Tongue," which makes you more persuasive; "Breathes Shadow," which improves the damage you do when hidden; and "Masters Defense," which improves how well you use shields. Characters also have unusual statistics. Instead of a collection of attributes like strength and dexterity, they have "pools" for might, speed and intellect. These pools don't represent how strong, fast or smart you are. They just give you points so you can expend extra "effort" for certain tasks. For example, in combat the game calculates your chance of hitting an opponent. But if you're using a might weapon and you spend some of your might pool points, then you can increase this chance. As you develop your character, you can also add "edge" to each pool. Then you get your edge points added automatically to the task without having to subtract them from your pool. Even character alignment is odd. Instead of good versus evil or lawful versus chaotic, your actions are rated based on five tides: blue (wisdom, reason, enlightenment), gold (empathy, compassion, sacrifice), indigo (justice, compromise, greater good), red (passion, emotion, action), and silver (prestige, power, renown). This spectrum is a little more difficult to keep track of, and sometimes you earn points at odd times, but it's sort of fascinating nonetheless. The only problem with the system is that even though the game keeps track of your tides and tells you which two are your most dominant, they have almost no bearing on the game. Supposedly they can influence conversations, but I never noticed this happening. After a while I started thinking that the game should have used your tide colors for the interface (which is currently fixed at blue and indigo), so you'd get some sort of visible response to the character you're playing. More straightforward is the collection of skills and abilities available to each character. These depend on your archetype, descriptor, and focus, and they include exploration skills (like deception, perception and stealth), combat skills (which improve your weapon use and defenses), and a host of active and passive abilities (like Warcry, which causes enemies to attack you; Flash, which deals damage in a small area; and Practiced in Armor, which reduces the penalty for wearing heavy armor). Interestingly, there are over twice as many exploration skills as combat skills, which is the opposite of what you usually see. Finally, instead of levels, characters have tiers and steps. Steps are minor advancements, and they allow you to pick from a selection of possible bonuses (like adding extra effort or edge). Then every four steps, you ascend to the next tier, where you get a more substantial bonus, usually in the form of new abilities. The level cap for the game is tier 4 step 4, or level 16 depending on how you want to think about it.